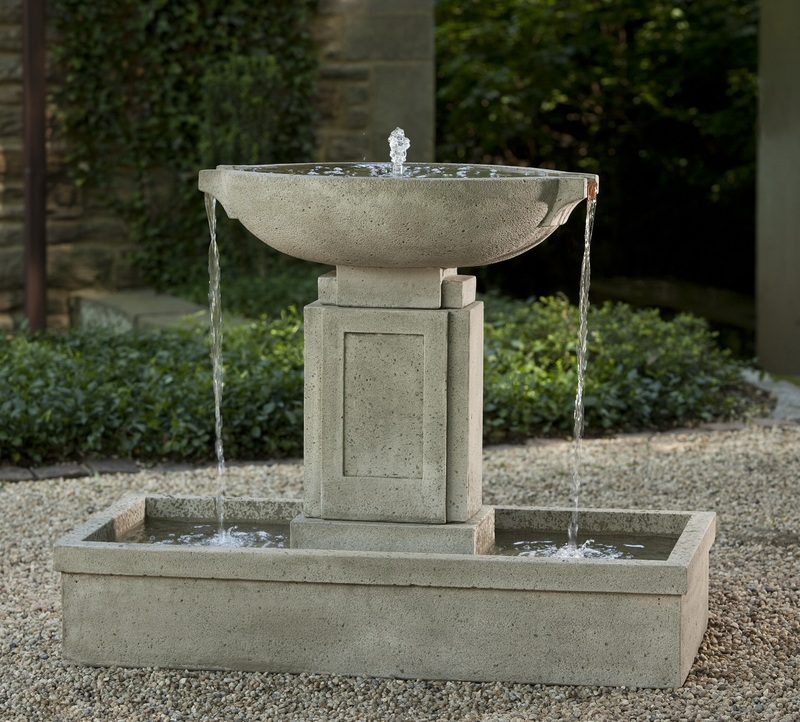 If you are looking to maximize the sound coming from your outdoor fountain, then the Austin Fountain would be good to consider. Water spills over both sides of the water feature element into a large linear basin below. L 47.5" W 23.5" H 38" | 486 lbs.